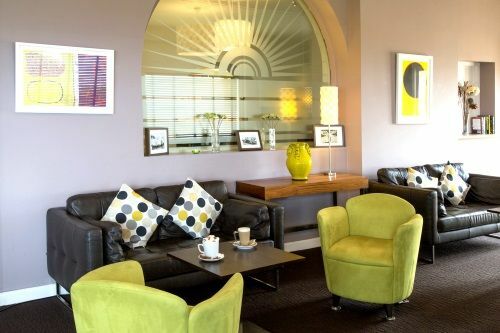 BFB was first alerted to the Sands Hotel and Resort by the deputy travel editor of The Times whilst she was researching a feature on "The Best Family Hotels in Cornwall". Her verdict was that it offered the best value for money and kids facilities in the area, as well as surprisingly stylish and well planned accommodation. 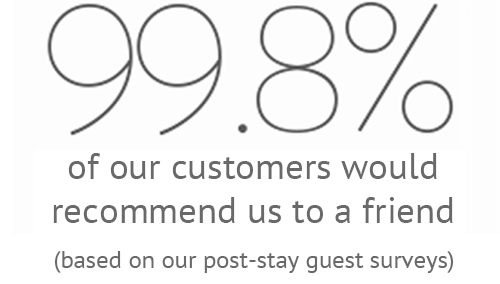 Other independent reviews have backed this up with comments like "Parents' dream hotel", "Stress free holiday with young children", "Most child-friendly place I have ever been", "Excellent food", "Meals couldn't be bettered" abound. Parent-friendly features come in the form of an exceptionally extensive range of nursery gear so there's no fuss packing, just bring some clothes as the hotel offers have everything from travel cots, highchairs, baby baths and sterilisers, down to strollers, night lights and nappy bins (full list in grey box on the right). There's a daily kids supper time so no worries about waiting around for a restaurant to open with hungry kids, and microwaves in the dining room for baby food and bottles. The free baby-listening means parents can dine in the restaurant and have drinks in the sea view bar every night, as long as off-spring comply! 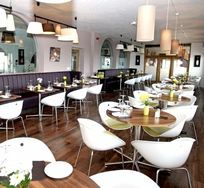 Plus babysitting can often be arranged to allow for a trip out to sample one of the excellent local restaurants - Jamie Oliver's Fifteen is just down the road and well worth a trip just to see the view, let alone enjoy the food! 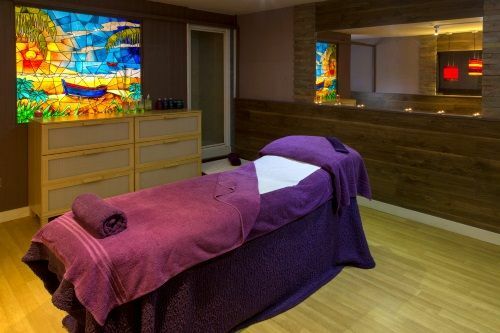 On top of that, there's a three-treatment room ocean breeze spa, using the Cornish, organic skin care range Spiezia for their treatments, a 9-hole golf course, tennis courts, climbing wall, zip-lining and a surf shack with boards and wetsuits available on free loan. Plus a massives list of pre-bookable activities from sailing and surfing lessons to rock climbing and power-kiting. 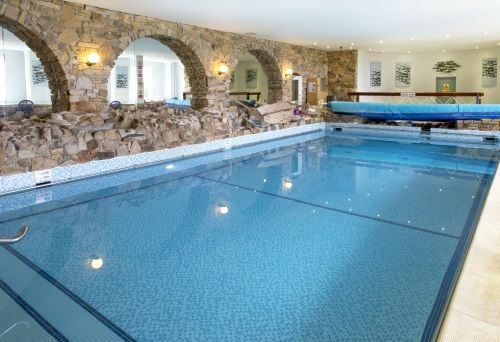 Alternatively, take a swim in either the inside or outdoor swimming pools. 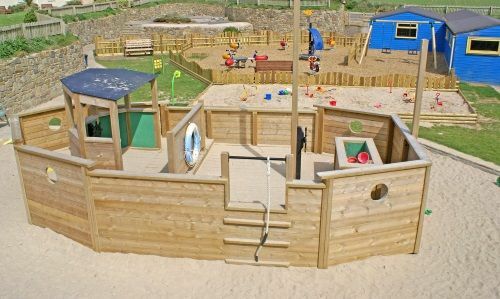 For junior guests, there are morning, afternoon and evening Ofsted registered crèche and kids' club sessions, each with activities and amenities tailored to a very targeted age-group with separate care for under 1s, 2&3s and 4-7 year olds, giving parents confidence their child will be both happy and safe. In summer holidays there's pre-dinning entertainment for kids and the option to eat with new friends at kids supper time, or with parents at family dining time. There are numerous play areas inside and out that will have little ones brimming with excitement from the huge wooden pirate ship, sandpit and play houses outside, to the indoor pool, games room and kids' club house inside. 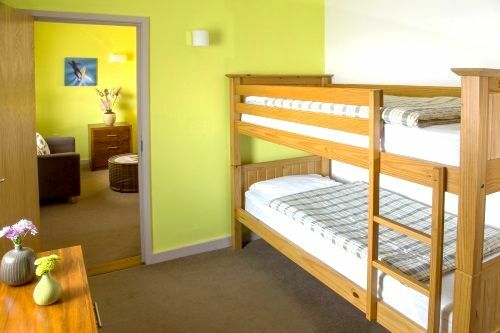 Standard Rooms - childrens' beds are in the same room. They sleep 2-3+infants and have TV, telephone, tea making facilities and mini fridge. Prices range from £49 per adult. Comfort Suites - These sleep 2-4+infants and have a separate sleeping area for children. They have archways, as opposed to doors, between the two bedrooms but usually with a hallway dividing them. These rooms have a TV in each room, telephone, tea making facilities, DVD and mini fridge. 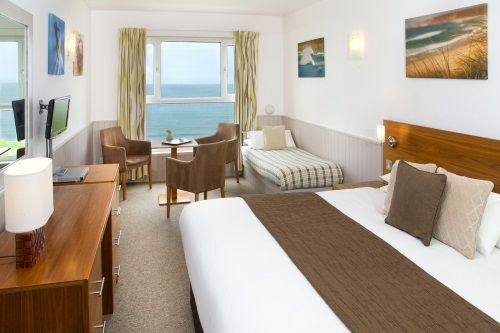 Prices range from £49 per adult plus room upgrade of £10 per room/per day. Contemporary Suites - These rooms have a TV in each sleeping area, DVD player, Sony Playstation, telephone, tea making facilities and mini fridge. They are sea facing and on the ground floor have doors between the bedrooms but no sea view. Upper floors have sea view but no doors between sleeping areas. 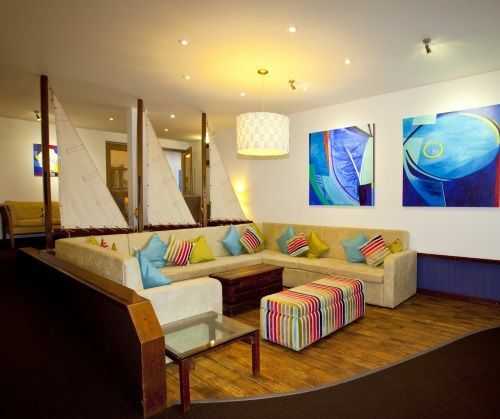 Prices range from £49 per adult plus a room upgrade of £25 per room/per day. 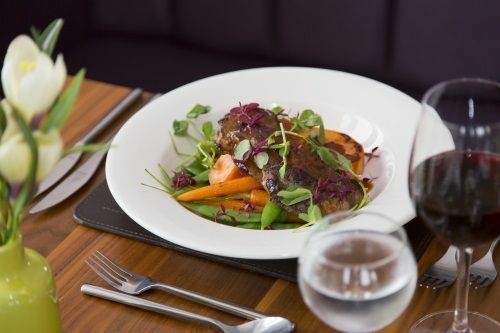 All prices are based on bed and breakfast but 3-course adult dinners with coffee can be added for the duration of your stay for £17 per night. (£22 if booked for odd nights whilst at the hotel.) Prices tend to go up the closer it gets to arrival date, so book well in advance to get the best prices. 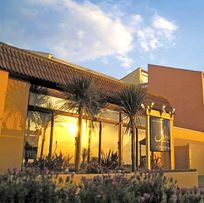 SPECIAL OFFER: BFB Users can claim a complimentary bottle of wine with dinner but they MUST state that they found the Sands Resort on Baby-Friendly Boltholes AT THE TIME OF BOOKING to qualify. 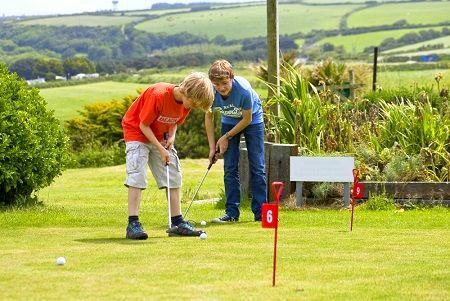 With little ones so happy to explore all the great facilities for them onsite and a huge range of pre-bookable activities for grown ups, from active sports to relaxing in the spa, it can be hard to tear yourselves away. However, you needn't venture far as there's a lovely sandy beach just in front (across a road and down quite a few steps) of the hotel and stunning Watergate Bay, with its Jamie Oliver bistro (kids meals at lunch) and The Beach Hut Cafe, serving café food and delicious hot chocolates in an incredible location, a scenic 30-minute cliff walk (bring or borrow a 3-wheeler) away. 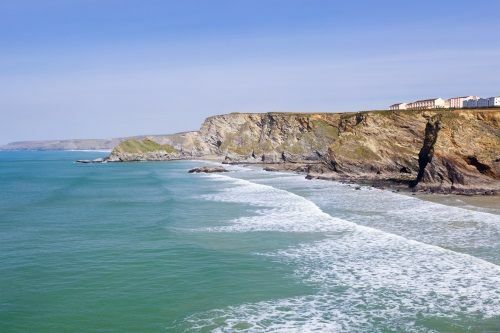 Just down the road, the Adventure Centre at Lusty Glaze offers abseiling, rock climbing, a zip wire and coasteering. Or for more gentle excerise, the mostly flat Camel Cycle path is not far either. Yet more relaxing is the Lappa Valley Steam Railway about a 25-minute drive from the hotel and a fantastic day out with activities for all ages including train rides, a boating lake, a maze and crazy golf. 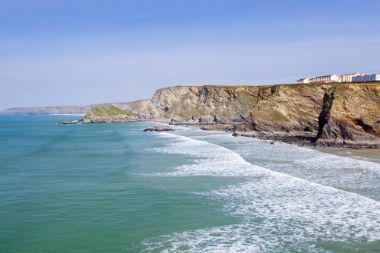 Other must-see Cornwall sights are the famously pretty coastal town of St. Ives, with its excellent Tate Gallery, The Eden Project, with its little legs-friendly land train, The Lost Gardens of Heligan and St. Michael’s Mount. Baby & Toddler Break includes the following: – 3 nights stay in a 2-room Country View Suite with balcony – Hot & cold breakfast each morning – Complimentary 3-course dinner on one night (children choose from the kids’ menu) – Complimentary childcare session 2 adults & 1 child 0 – 3 years from £333 2 adults & 2 children 0 – 3 years from £366 Additional children 0 – 7 years stay for £25 per night, 8 – 14 years old for £35 per night. Room upgrades available from £15 per night. ************************************************** This offer is valid from: 24th February – 27th March 2017 21st April – 23rd May 2017 14th September – 14th November 2017 (excludes 18th – 28th October) This offer can’t be combined with any other offers. Can’t be booked back to back. Please contact us on the LIVE chat for more information. The nearest beach is about 5-10 minutes walk but there are quite a few steps. Alternatively, there's a 10-15 minute walk to another beach without steps but best attempted with 3-wheeler buggy. The kids club makes use of both the indoor and outdoor play areas. There is a range of OFSTED inspected kids club suiting children aged from under 1 right up to teens. 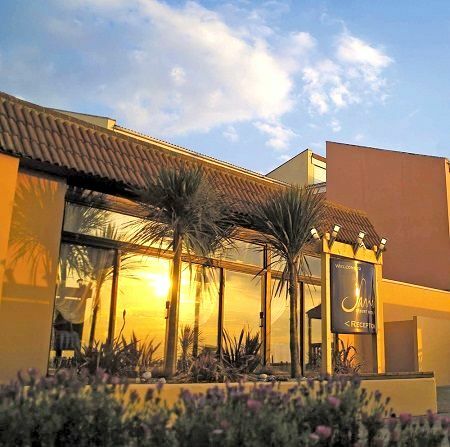 Most summer evenings there is a pre-dinner entertainment for under 8's and the hotel has regular visits and talks from the local zoo and aquarium. The hotel does not offer babysitting as a service however they are happy to put off duty staff in touch with guests to organise sitting and the staff are paid direct. There is plenty for children to do inside and out. Outside there is a football pitch, croquet lawn, basketball and Tennis court, a junior climbing wall, crazy golf, sand pit, play boat, junior play area, maze, adventure play area, zip wire and bouncy castle. There is a nippers kids club which takes children aged 1 and under. There is an onsite restaurant that serves up breakfast, lunch, children's teas and dinner where guests can choose to dine with or without children in designated areas. Some of the pool view suites have balconies. There is a 9 hole golf couse onsite plus putting green and crazy golf course. There is a gym at the hotel. numerous cots and highchairs on request.